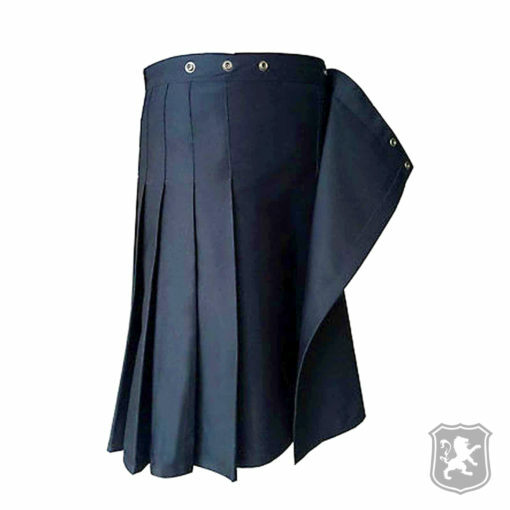 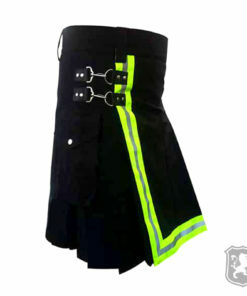 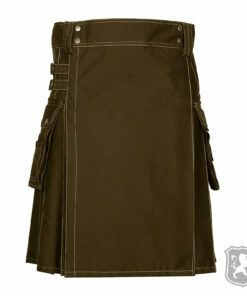 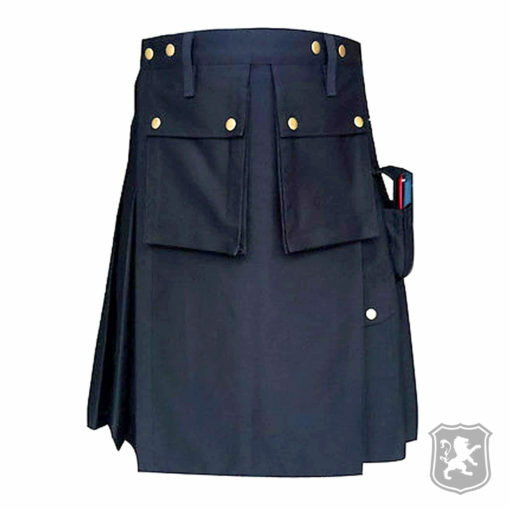 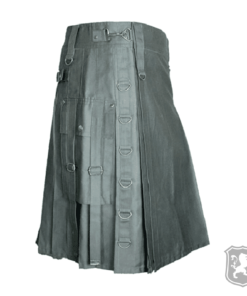 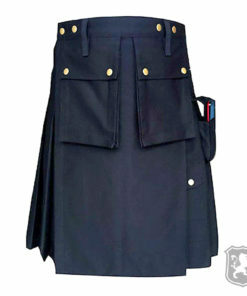 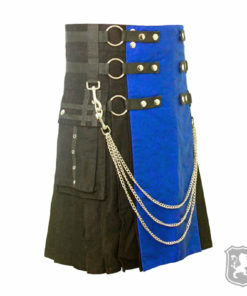 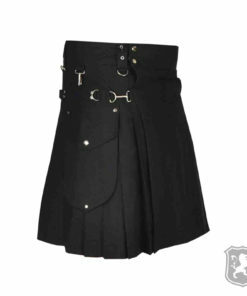 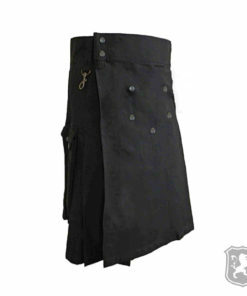 The Black Police Utility Kilt is a unisex kilt which comes with two large cargo pockets on the back and decorative antique buttons. 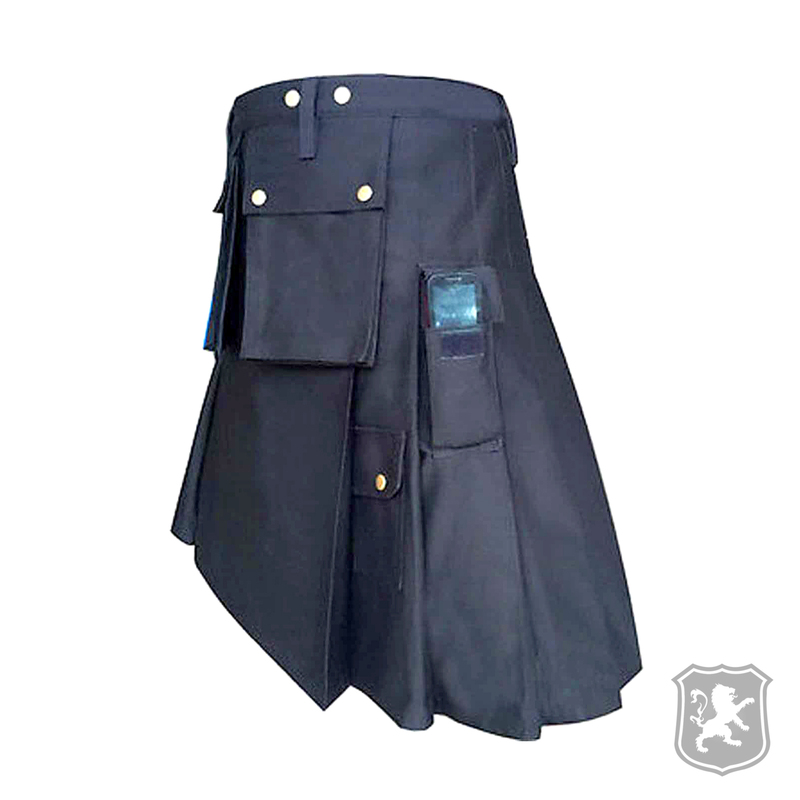 There is also a pocket on the side which is made up of clear/transparent material and you can use that pocket to store your mobile phones. 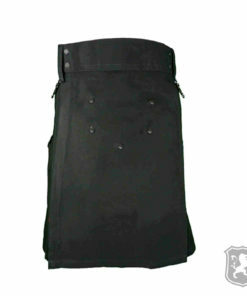 On the front, you will see two flap cargo pockets with golden decorative buttons. 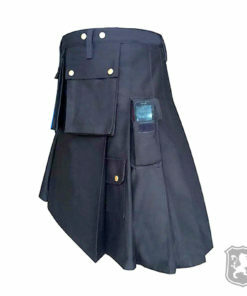 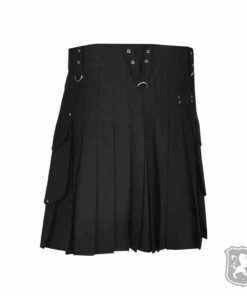 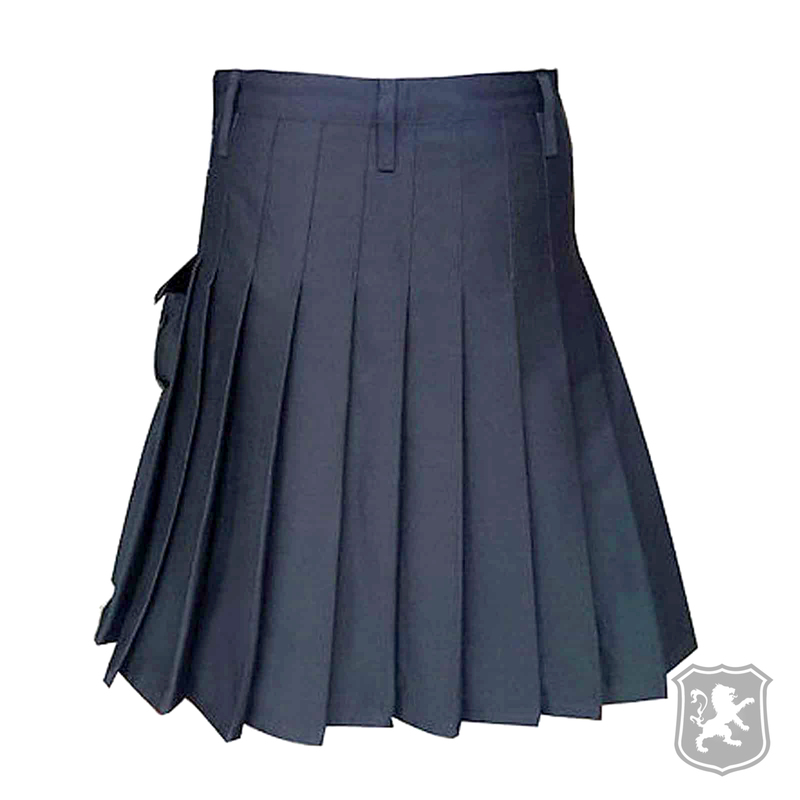 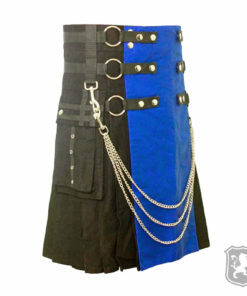 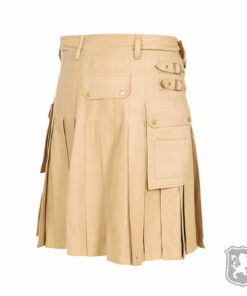 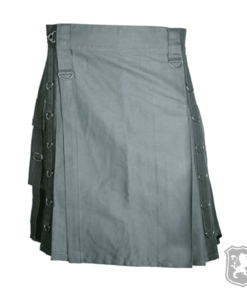 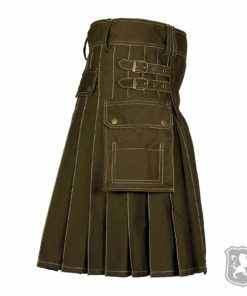 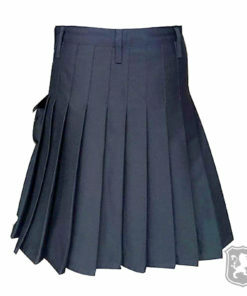 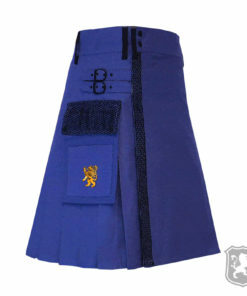 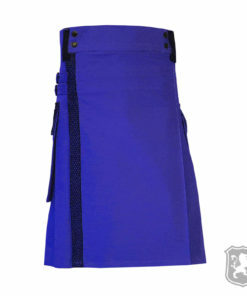 There is also a small pocket available on the end of the kilt. 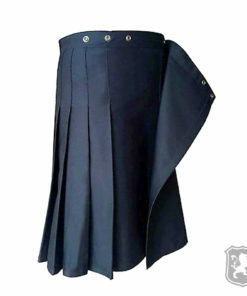 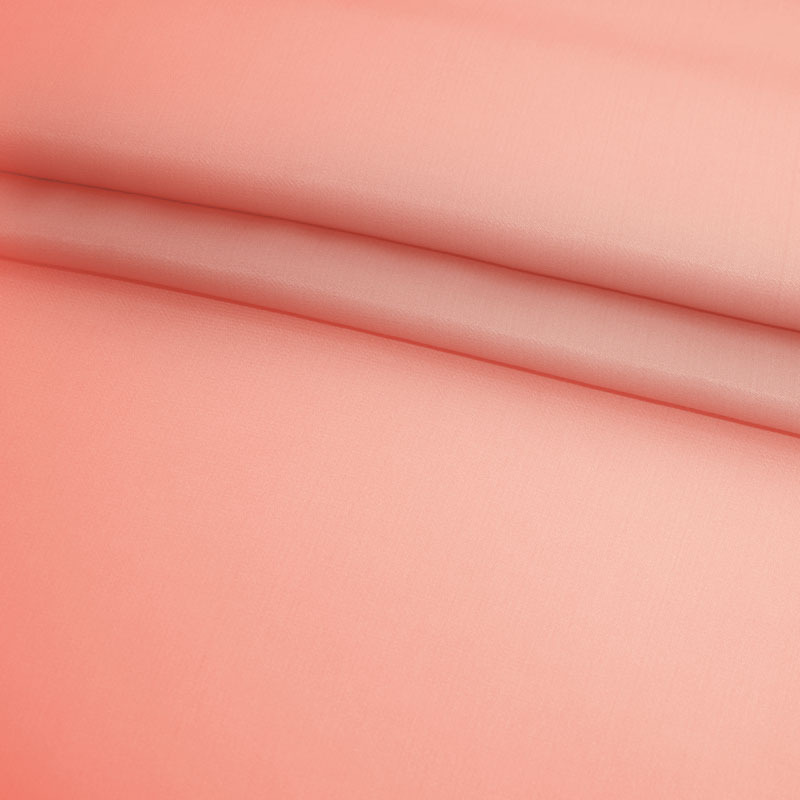 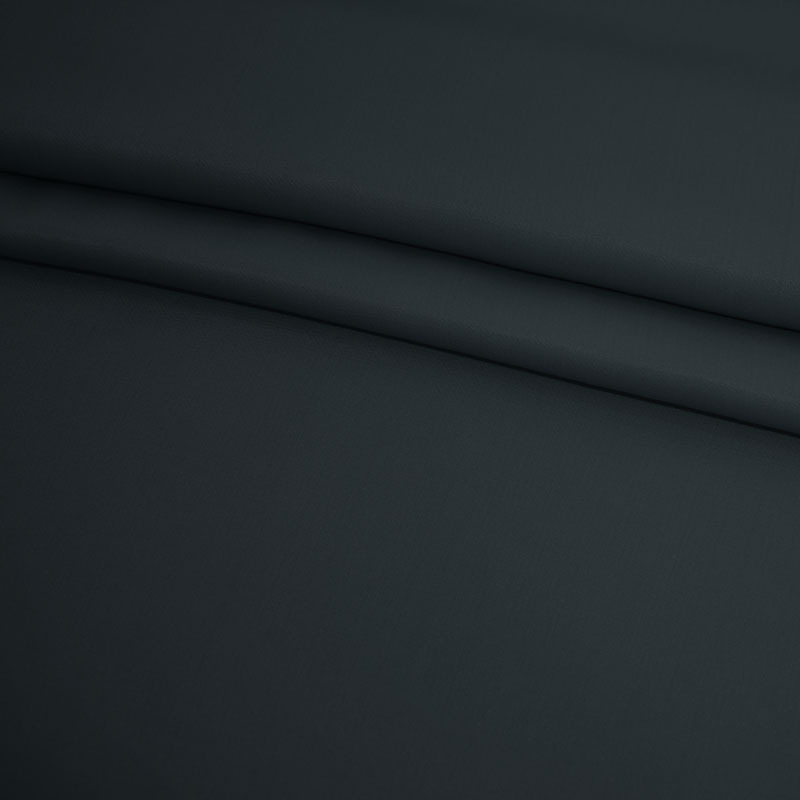 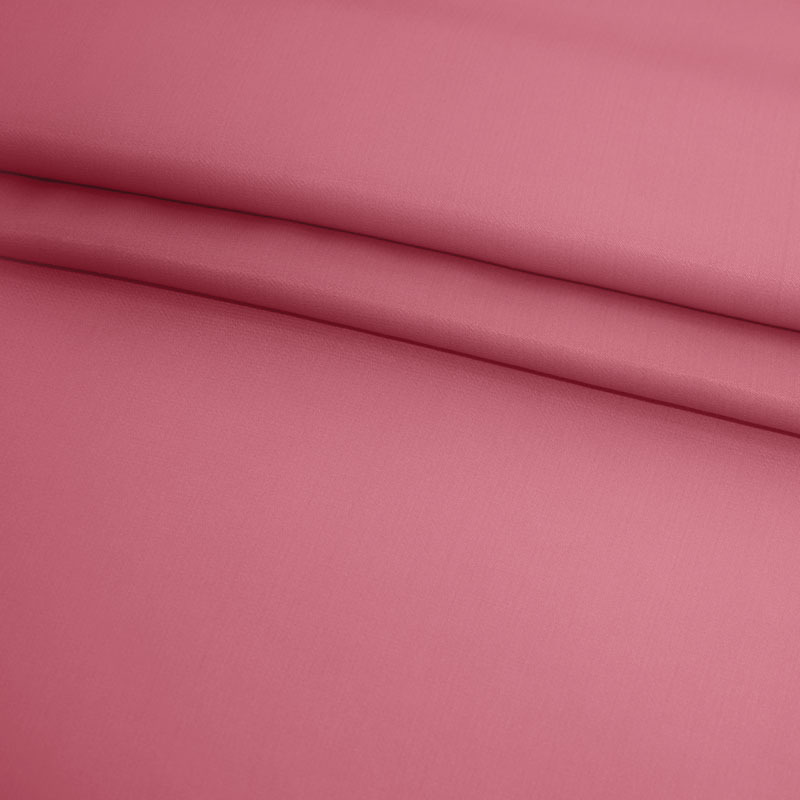 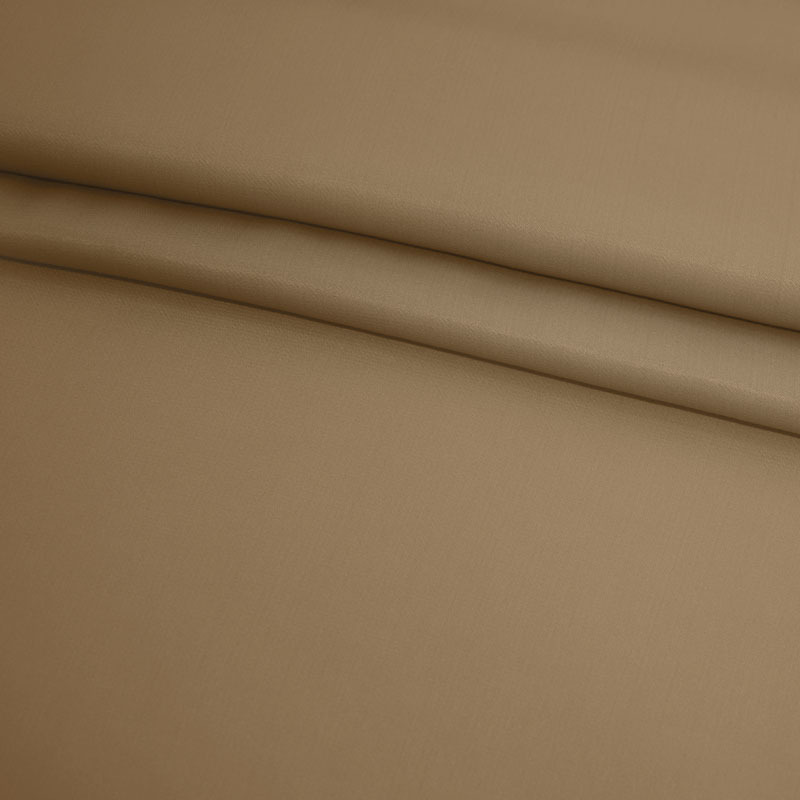 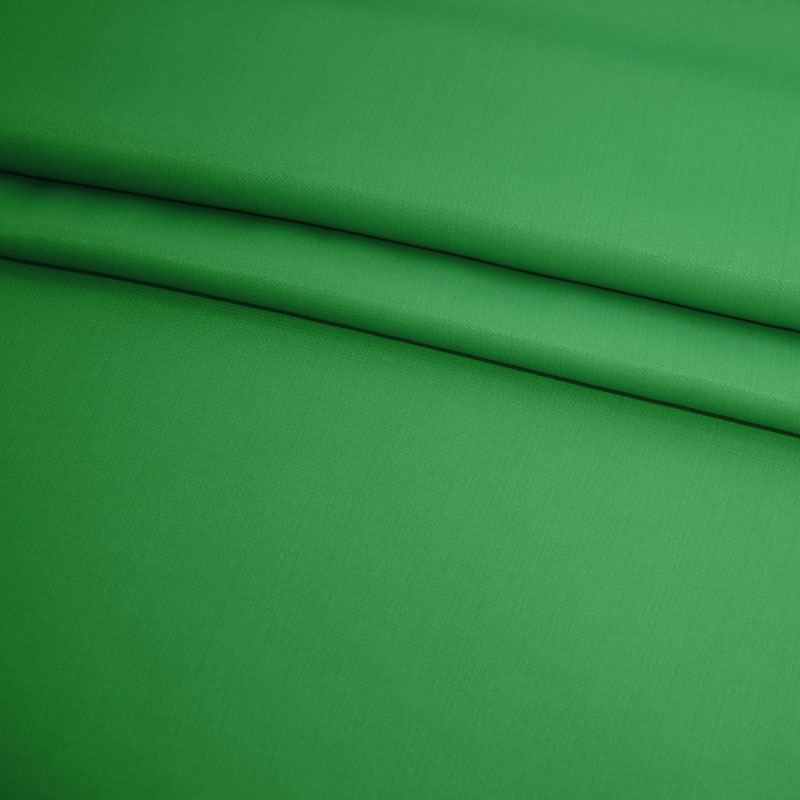 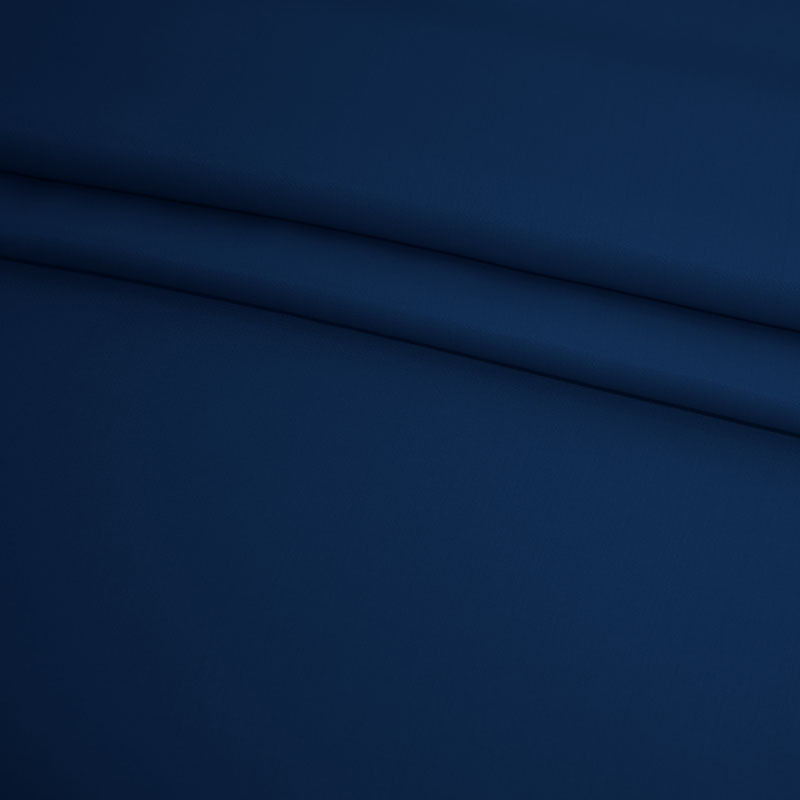 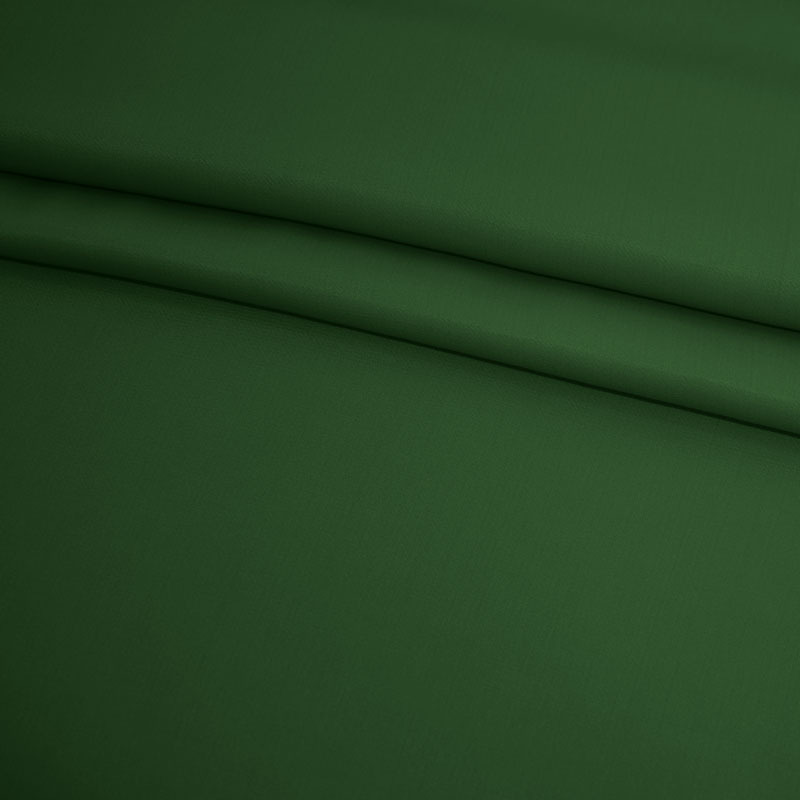 The pleats are sewn around 2.5 inches deep. 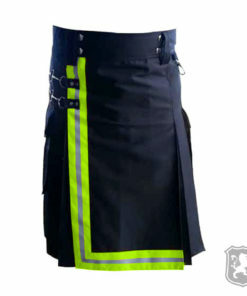 However, that is totally customizable as per the request of our customer.